Just 39 percent of millennials without a mortgage have a prime (661) or better credit score, according to a study from Experian . The study found that in addition, many millennials are facing delinquency. Experian’s data shows that 77 percent of millennials who have a mortgage have prime credit scores or better, compared to the 39 percent of those without. According to Experian, this means that little changes may alter the perception of millennials as borrowers, and get some millennials into a home. 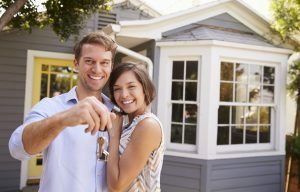 "This data presents good news for younger, thin file millennials interested in buying a home. We're seeing that small changes in financial behaviors such as building a history of on-time payments and improved credit practices can help lenders shift from viewing millennials as high-risk to low-risk relatively quickly," said Michele Raneri, VP Analytics and Business Development at Experian. "Knowing where you stand from a credit perspective is critical to improving or maintaining your financial well-being." Experian cites a report from the National Association of Realtors , which states that despite 85 percent of millennials agreeing that owning a home is a good investment, only 15 percent have a mortgage. And with 61 percent of millennials with a prime or worse credit score, certain habits may need to be changed. In addition, millennials with a mortgage tend to have a higher income than those without. Experian states that millennials without a mortgage have an average income of $33,000, compared to those with a mortgage, who have an average income of $64,000. "Often, young people start their credit journey with a couple of mistakes first, but in the end, these mistakes create opportunities to learn how to use and build credit responsibly," said Rod Griffin, Director of Consumer Education and Awareness at Experian. "We believe everyone deserves access to quality credit and homeownership. This study presents clear areas of opportunity for millennials as they age and prepare to enter the mortgage market."